how many more hours ??? just 4 and a half ey?? Melbourne is buzzing the city is alive. Sunny today 29 dry free practice saturday and sunday rain and showers 70 to 90% interesting race day a little like winter testing only warmer with humidity the current preperations go out the door new strategies for all really intersting weekend ahead melbourne loves ferrari and daniel riccardo huge italian influence in melbourne win loose or draw they are one eyed true passion can do no wrong. 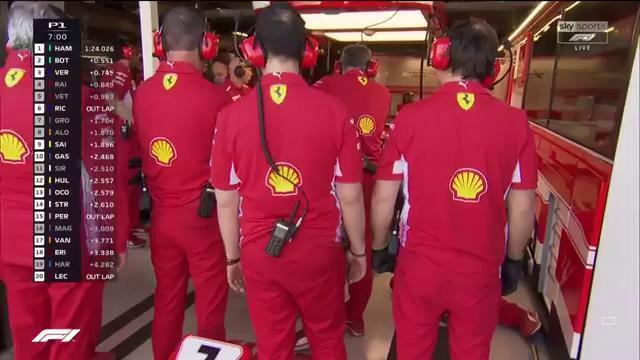 Forza Ferrari! Looking forward to an exciting and successful season for us. A pox on Mercedes and Hamilton! Time to see how our new car is. I hope this is finally a year the drought will be ended. Happy season everyone! Forza Ferrari! Our cars started and there was no smoke whatsoever, or I missed it! And these commentators, never said anything about it! Typical!! 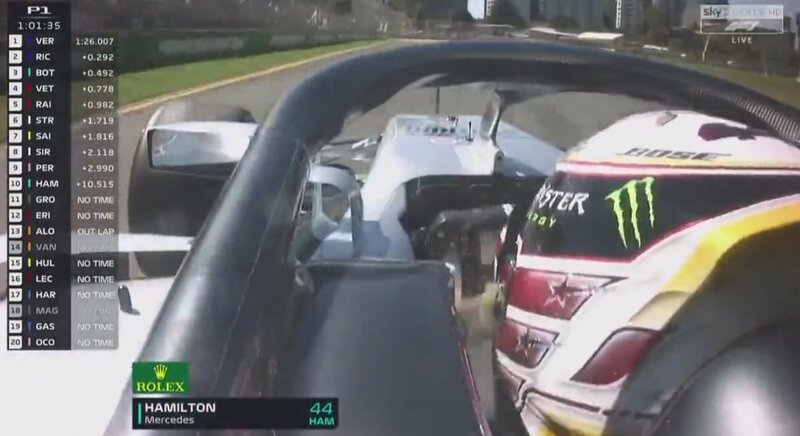 Hamilton's on-board.....??? You can't see crap!!! This can't survive... It's the most ridiculous and dumb looking thing, that was ever put on a formula car ever. That halo looks awfully bad. Makes the car look soon ugly. I don't know if I can do an entire season listening to the Sky commentators. Damn you ESPN! Yes, I am aware of that and understand the reason for it. It just looks so ugly, that's all. 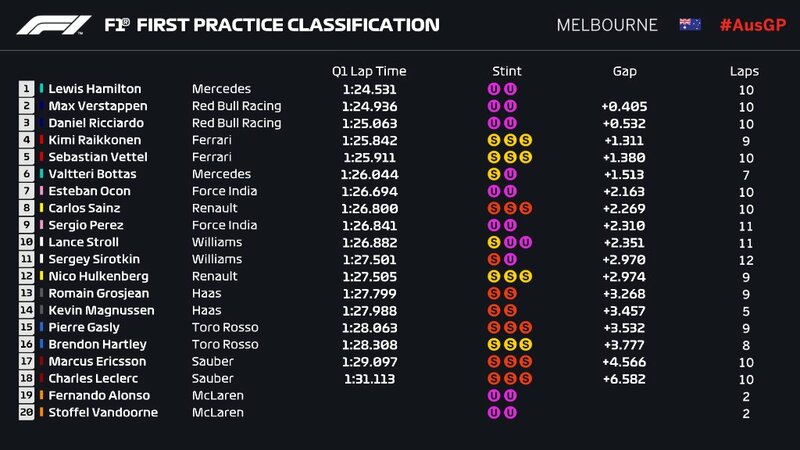 Early doors but pace looks good on soft tyres. Car looks planted, merc is moving around quite a lot. Halo is a joke. Onboard shots are dead. Wow. I’m so sad. I’m actually mourning for this sport I love so much. We should try going on the US tyres. Car is twitchy a bit of a diva its fast but setting up is a bit of a problem according to reporters on the ground in melbourne lets see. I guess we will try it in FP2. It'll be more representative as the track will be cleaner and also we did bring more soft tyres, then others. What happens to their smoke screen?